Is the Change in Early Voting Locations a Partisan Move? Last week, Montgomery County’s Board of Elections voted to close early voting centers in Chevy Chase and Burtonsville and open new ones in Potomac and Brookeville. This prompted charges of voter suppression from Montgomery County Council Member Tom Hucker, who represents Burtonsville and started an online petition to overturn the decision. Hucker points out that the Board’s vote was on party lines, with a Republican majority voting for the change, and that the Burtonsville site has a significant concentration of minority voters. The Board’s Republican President, who ran for County Executive last year, claims that the change was motivated not by politics but by a desire to expand early voting to areas that have not had it. Who’s right? Let’s look at the data. First, let’s examine the demographic characteristics of the areas surrounding the early voting sites. For this exercise, I pulled U.S. Census data on zip codes within one mile of each site. Zip codes 20814 and 20815 apply to the Lawton Center in Chevy Chase, 20866 and 20905 apply to the Praisner Center in Burtonsville, 20854 applies to the Potomac Community Recreation Center and 20832 and 20833 apply to the Longwood Community Recreation Center in Brookeville. Following is information on race and income of the residents in these zip codes for the years 2009-2013. On these measures, Burtonsville stands out from the other locations. It has a lower income than the other three sites, a lower percentage of non-Hispanic whites and a higher percentage of African Americans. Its African American percentage is nearly double the county’s average. And yet, this site is targeted for closure. Hucker’s argument is not just rooted in demographics, however. He asserts that the changes are motivated by a desire to advantage Republican voters at the expense of Democrats. Is he right? Let’s look at data on voter registration and actual voting. For this exercise, I pulled data on voter registration as of August 2015 on all precincts within one mile of each early voting site. Here is the total number of registered voters of all parties near each site. The Lawton Center is within walking distance of Downtown Bethesda, the biggest single employment location in the county, so this statistic actually understates its potential reach. The Praisner Center saw more early votes than any site in the county in the 2014 general election with the exception of Silver Spring. Any prioritization of voter access without regard to party should protect the continued operation of both sites. Now let’s look at the Republican percentage of registered voters. In terms of Republican registration percentage, not only do the two new sites exceed the two closed sites, they also exceed the county average. Registration is only part of the story. Let’s look at the percentage of the vote received by Republican Governor Larry Hogan in last year’s general election in precincts within one mile of each site. Again, the GOP enjoys a net advantage. The Brookeville area is one of the few parts of the county in which Larry Hogan scored an outright win, and – guess what? – the Republican-majority Board of Elections has given it an early voting site. U.S. Census and voter data show that the early voting site change on net has improved voting convenience for Republicans and some groups of white and high-income residents while decreasing voting convenience for African Americans and lower-income residents in East County. The voting trends near the sites suggest that this may help Governor Hogan’s performance in the next election. Is this voter suppression? I guess that depends on your definition of “suppression.” But since U.S. Census and voting data are publicly available – and the latter is held by the Board of Elections – it’s hard to believe that the board was acting blindly. Suppression or not, this has the look of manipulation for partisan gain. The Chevy Chase ANC (Advisory Neighborhood Commission) in the District of Columbia will consider a resolution (see below) next Monday night to call for the renaming of the fountain in Chevy Chase Circle after someone other than U.S. Sen. Francis Newlands, who helped to found Chevy Chase, due to his long-time efforts to promote his negative views of Blacks, Jews, and Women. 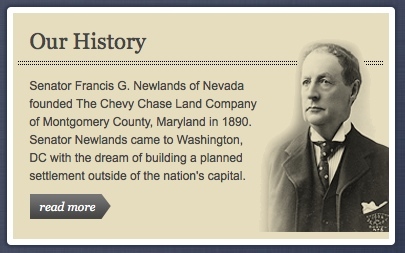 The Chevy Chase Land Company still recalls Sen. Newlands with pride. When they unveiled their plans for Chevy Chase Lake at the Planning Board, then-President David Smith began his PowerPoint with a slide of Sen. Newlands. About as much time was spent telling us about Sen. Newlands’ role in founding the area as their actual plans for the area, though unsurprisingly no mention was made of his bigoted views. Because Senator Newlands was considered one of the fathers of modern irrigation, in the 1930s a fountain was built in Chevy Chase Circle (which was considered the gateway to the Federal City) memorializing his contributions in this area. To recognize the 100th anniversary of its founding, The Chevy Chase Land Company refurbished and repaired the Chevy Chase Circle Memorial Fountain in 1990, and held a rededication ceremony attended by members of the community. . . . The Land Company to this day remains family owned and is proud of its long tradition of family leadership and its deep connections to the Chevy Chase community. 1. Senator Francis G. Newlands was instrumental in the creation of Chevy Chase D.C. & MD, but his vision was for Chevy Chase to be forever racially segregated. He included in most property deeds in Chevy Chase a racist covenant precluding land from ever being owned by African-Americans or Jews (these covenants have since been declared void but are still present in original deeds, usually lined out). He also used the formation of Rock Creek Park as a segregationist barrier in D.C. generally. 2. Senator Newlands was a lifelong outspoken racist and segregationist. He openly called (including in his 1912 campaign for U.S. President) for amending the constitution to prohibit the vote to African-Americans and limit immigration to whites-only. 3. During his political career, he fought to limit education for African-Americans to domestic and menial work only, and for other measures to suppress the rights of African-Americans. 4. He also opposed women’s suffrage. 5. The historic public record reveals his outdated beliefs. For example, he said: “I believe this should be a white man’s country, and that we should frankly express our determination that it shall be.” New York Times, June 17, 1912. The Chevy Chase ANC supports the renaming of the fountain at Chevy Chase Circle, and suggests the name [TBD, nominees include John J. Pershing (who lived in Chevy Chase) and Frederick Douglas (who lived in DC)]. The Chevy Chase ANC requests that the D.C. Council pass a Resolution supporting this Resolution, and forwarding both resolutions to the D.C. Historic Preservation Office for implementation through a name change on the National Register of Historic Places (which lists the fountain), a new plaque at the fountain itself, and such other measures to complete the renaming of the fountain. County Executive Ike Leggett’s Nighttime Economy Task Force has made a number of recommendations to attract a more active nightlife to Montgomery. Sorry I meant to say MoCo. We’re all hipsters now here at 7S. The Task Force will recommend the county extend the hours of operation for venues with alcohol licenses an hour, to 3 a.m. on Fridays, Saturdays and the Sundays before Monday federal holidays and 2 a.m. on weeknights. That would match D.C. and Prince George’s County and prevent what Pohoryles said restaurant owners call “the mad dash,” the period when Montgomery County bar goers get in their cars and drive to D.C. for another hour of alcohol service. The rule would keep the half-hour “grace period,” in which last call would actually be half-an-hour before closing time. Also part of the bar-friendly recommendations are changes to the county’s noise ordinance in specific urban areas. The Task Force will recommend increasing the allowable noise levels for “qualifying arts and entertainment activities in these areas,” to 85 decibels, allowing those levels to midnight and ensuring nearby residents are informed of the law prior to moving in. So basically more booze + noise = fun. Heck, I suspect any random group of college students could have told you that. The only problem is that downtown Bethesda’s prime demographic is not college students or recent college grads but empty nesters. 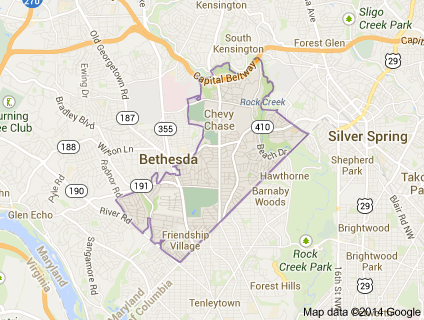 Neighborhoods near to downtown Bethesda are a combination of families and empty nesters. In six years on the Town Council of the Town of Chevy Chase, located directly east of downtown Bethesda, I have never heard anyone lament that the bars in Bethesda close too early and that they have to dash elsewhere to keep drinking. Heather Dlhopolsky, a Bethesda attorney and chair of the Task Force, made it clear the Task Force wasn’t just about catering to the 20-34 year-old crowd, citing the significant number of empty nesters moving to downtown Bethesda. There is universal opposition to the County Executive’s Nighttime Bethesda proposal, if it means extending bar hours and changing the revenue ratio. It should not move forward! 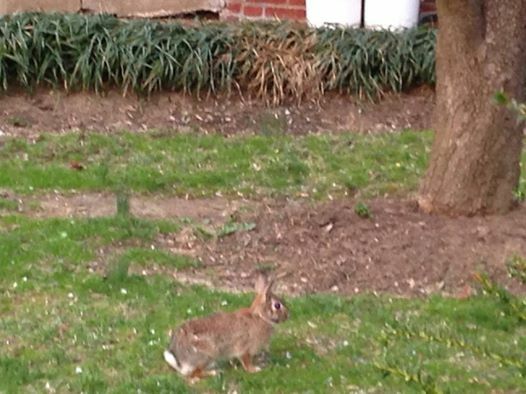 What can be done to ensure that the noise ordinance is not altered for downtown Bethesda? What is the planner standard for public green space, library, and recreational facilities per 1000 units of development in the downtown? What can the county and the planning board do to improve the quality of metro service to Bethesda given density decisions are tied to the presence of the metro? The meeting was organized by Jon Weintraub with Jane Fairweather, a very successful local realtor who knows the Bethesda market extremely well and hardly one to object to changes if she thought they would make her market more and not less valuable. No doubt some will deride their objections as those of anti-business older people who expect unreasonable levels of quiet and have confused the area with an assisted living facility. But my impression is that their objection is not to a vibrant nightlife but want it to fit in with the area’s existing strengths. Bethesda is filled with restaurants and also has a large number of bars for that matter. However, the empty nesters who can afford to buy all those condos–and provide a lot of custom to these businesses–prefer it quiet before 2am. The key to keeping Bethesda so successful is make changes that reinforce what is already attractive not just to families and empty nesters but also to many twenty and thirtysomethings. Middle of the night noise, drinking and nightclubs probably aren’t it. Montgomery County operates as a control alcohol jurisdiction, with all alcohol purchases coming from a central DLC [Department of Liquor Control] warehouse. That has led to complaints from restaurant owners about the availability of special orders, such as craft beer, and the time it takes to fill an order. Evan Glass, a Silver Spring activist and prospective County Council candidate, said the group should talk about how necessary the DLC is. It’s a contentious issue, in large part because the DLC contributes $25-$30 million a year to the county’s General Fund. It also recently opened a new warehouse in Gaithersburg. Glass suggested the DLC should at least keep a portion of that contribution to hire more employees who could help it be more responsive. Most agreed that recommending wholesale changes, or the dissolution of the DLC, was too big a task for the Task Force. The final recommendation, when it comes out in the Task Force’s final report next week, will call for a study of the DLC’s effectiveness from the Council’s Office of Legislative Oversight. The irony here is that the Task Force attacked directly requirements that restaurants sell as much food as liquor. Yet, they’ve stayed away from a major barrier to locating restaurants here because alcohol is more expensive in MoCo and unique beers and wines are harder to obtain. The City Paper, practically the definition of urban hip, wrote about the issue back in 2007. 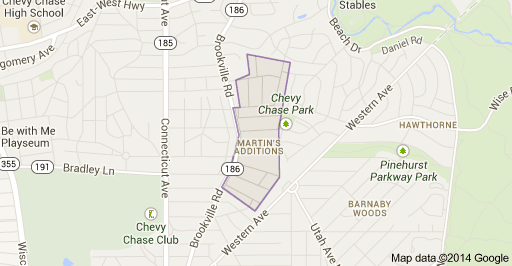 Even people who live in Chevy Chase get confused about all of the mini municipalities in the area. I’ve had people think I represent them, though they don’t live in my town. Here is a short guide for the perplexed. Chevy Chase Elementary School, the Jane E. Lawton Community Center, and the National 4-H Conference Center are also located in the Town. The Town Council operated out of the 4-H prior to the construction of the Town Hall. The Town’s annual Fourth of July picnic is its most popular event. Town services include back door twice-a-week garbage collection as well as recycling. Over 20 percent of Town residents participate in the Town’s recently established organic recycling program operated by Compost Crew. This week, the most popular town service is that we shovel the sidewalks when more than three inches of snow falls in addition to clearing the streets. 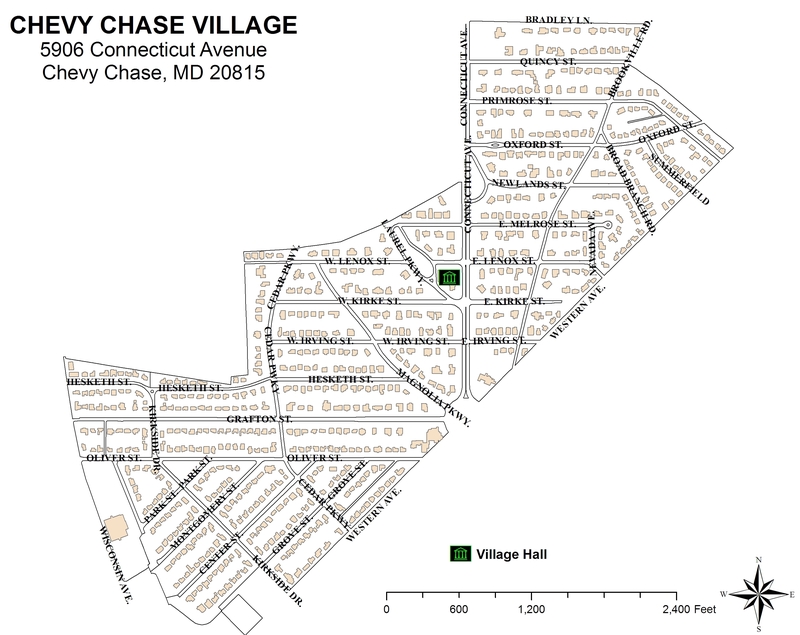 Chevy Chase Village is larger in area but smaller in population than the Town with just under 2000 people because its homes are mostly on bigger lots. The wealthiest municipality in Maryland, the Village has its own police department located in the Town Hall. It also has a post office located in the Village Hall. The southwestern portion of the Village is very close to Friendship Heights. Straddling Connecticut Ave., the Village is perhaps best known these days for its speed cameras. The Village loves the cameras because they slow down traffic and generate revenue. Others are perhaps less keen. I once heard traffic along this stretch of Connecticut described as “the funeral procession.” I like to tease Village Board of Managers Chair Pat Baptiste that I try not to walk too quickly in the Village to avoid getting (another) ticket. Pat is extremely experienced in Village and County politics, having served as Chair in the past as well as on the County Planning Board. President Obama paid a visit to George Will’s home in the Village before his inauguration in 2008 but it appears that the friendship didn’t blossom based on his columns. As the Village not only votes heavily Democratic, like most of Chevy Chase, but supported him strongly in the 2008 Maryland presidential primary, President Obama nonetheless probably feels welcome. 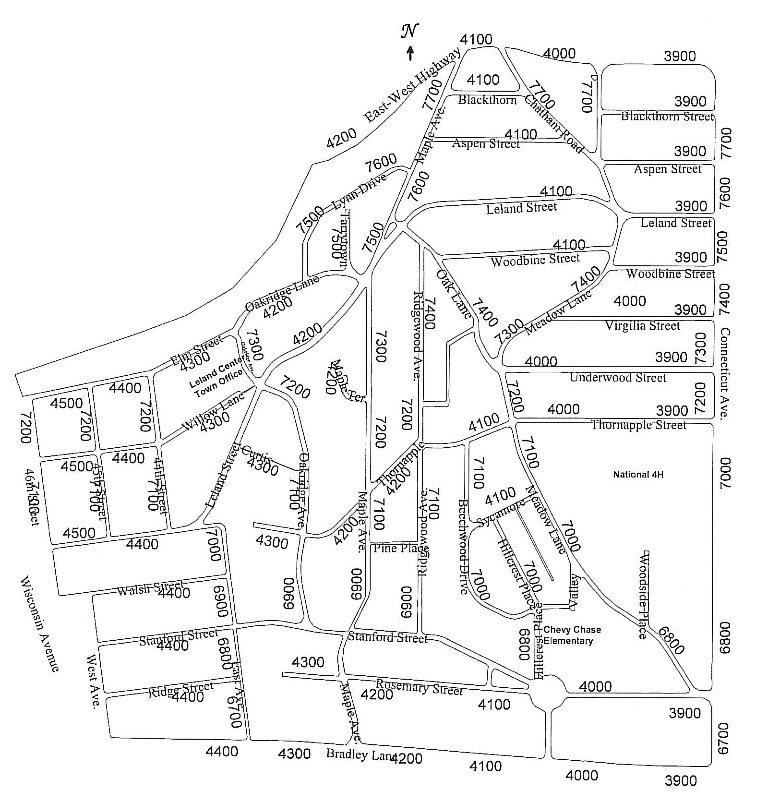 Incorporated in 1982, the Section 3 of the Village of Chevy Chase Section 3 is home to 760 people who live on 280 lots north of Bradley La. 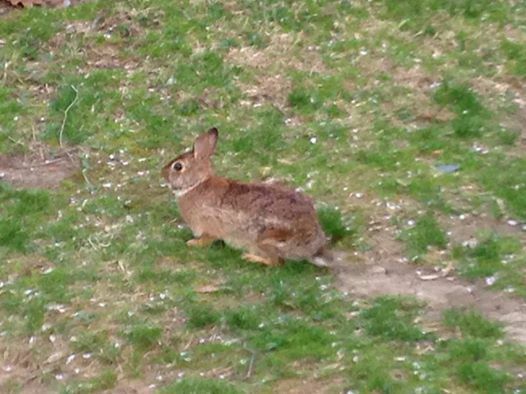 and between Connecticut Ave. and Brookeville Rd. Andy Harney is not just a neighbor but the longtime Town Manager. Smart, direct, and tough, she’s great at standing up for her town’s interests, as anyone who has ever seen her in action knows. 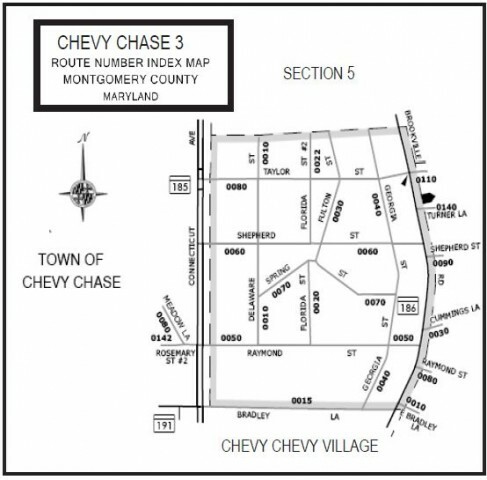 Located just north of slightly larger Section 3, the Village of Chevy Chase Section 5 is the more southern of the two “sections” and home to 650 people. It has 223 homes and one restaurant, La Ferme. Like its southern neighbor, it incorporated in 1982. The Village of Martin’s Additions incorporated a little later than the two sections, its western neighbors, in 1985 and has 933 residents according to the 2010 Census. Like the two sections, its narrow streets make it tricky to navigate but also are why it’s so cute. 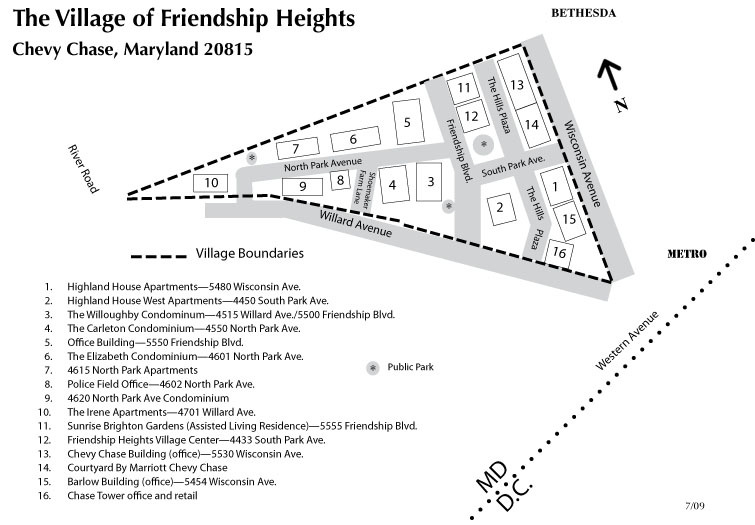 A triangle located between Willard and Wisconsin Ave., the Village of Friendship Heights is really a special tax district rather than a municipality. The 2010 Census reported that 4,700 people live in Friendship Heights. Unlike the municipalities described here, Friendship Heights is characterized by apartment and office buildings rather than single-family homes. The Shuttle Bus service to the Metro and the Giant is very popular. Halfway between Friendship Heights and Bethesda between Wisconsin Ave. and Little Falls Pkwy., the Town of Somerset has 1,200 residents. Mayor Jeffrey Slavin, who been mayor since 2008 and served on the Council previously, governs from the most attractive town hall in Chevy Chase. The Town Hall is located next to the popular Town Pool, which Somerset worked hard to renovate. How small is Drummond? It’s too small for the Census Bureau to reveal its population. 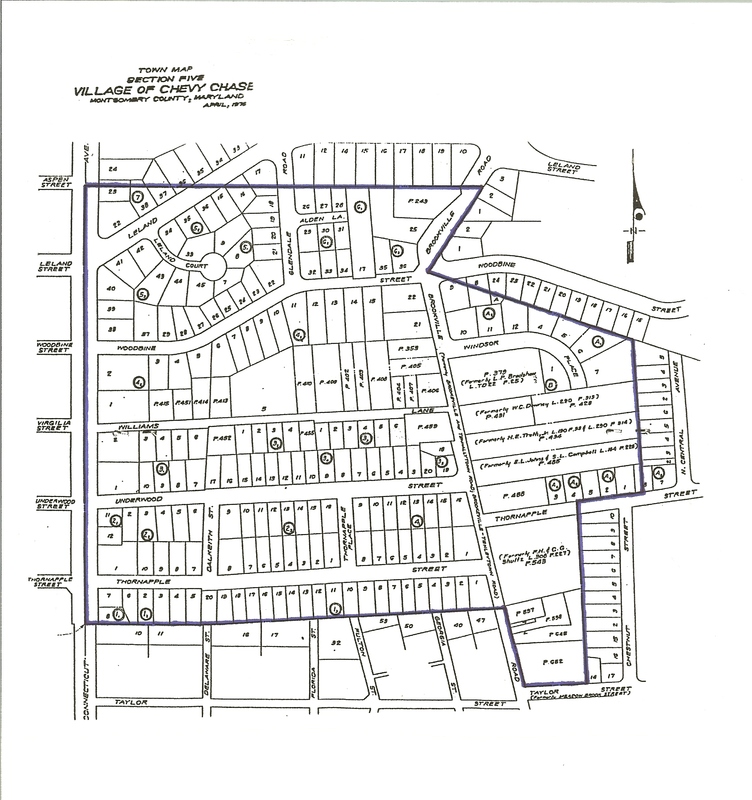 Another special tax district, Drummond is just two-thirds of one street with 43 homes. Nevertheless, the tax district is older than many of the municipalities, having been established in 1916. You’ll see Drummond just north of Somerset if you’re walking down Wisconsin Ave.
Home to 519 people living in around 200 homes, North Chevy Chase is just south of the Beltway in the northeast quadrant of the intersection of Jones Bridge Rd. and Connecticut Ave.
Perhaps a tad more conservative than most of liberal Chevy Chase, Chevy Chase View is just south of Kensington and is part of the greater Kensington metro area. 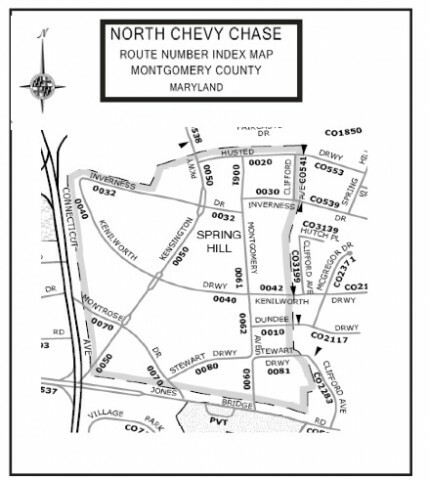 Although the area has a long history, Chevy Chase View incorporated only in 1993. It has 920 residents. The most excellent Towns of Kensington and Garrett Park are also considered by many to be part of Chevy Chase, though outside the zip code and with their own postal addresses. Unlike the other towns, Kensington has a commercial district. Mayor Pete Fosselman has served since 2006 and overseen the adoption of a new plan for the town. Del. Al Carr was on the Kensington Town Council before being entering the legislature. County Councilmember Nancy Floreen served as Garrett Park’s mayor before moving on to Rockville. I’m just too tired to write more but go check out Antique Row in Kensington and Black’s Market in Garrett Park.